We would like to see some kind of food or drink on your image. I was lucky enough to win some Molly Bloom stamps recently in Craft Stamper giveaways and decided this one would be just right for this challenge. Beautiful card! Love this image. Gorgeous card Pat. I love the image and beautiful papers. How cute, great layout and image! 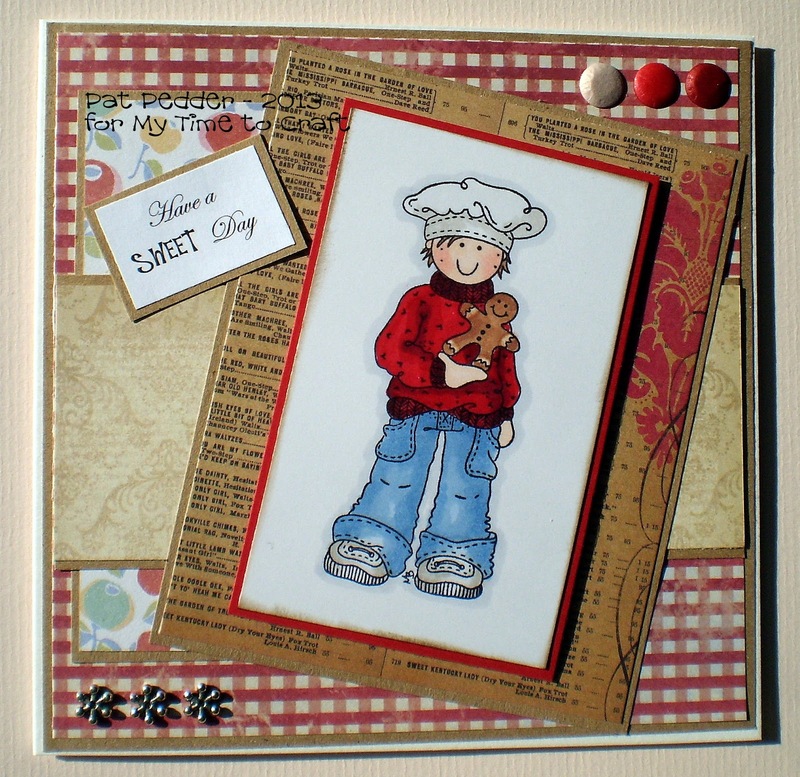 Beautiful card, love your new stamp, the image is perfect for this challenge. Super card Pat. Great image and lovely papers - especially the one that looks like it could be an old recipe book. Great card hun, just love the image & those papers are great! Thank you to share it with us on Deep Ocean Challenge. This is adorable! Your image is darling and you've coloured it so wonderfully! Adorable image and I love the layout! Sooo sweet Pat! Love the image and the layout. Oh what a cutie! Perfect papers to go with this adorable image. Thank you so much for joining in on our challenge at Raise The Bar!